How Do We Make Our Food Supply Safer? Leading food safety experts weigh in. We asked nine food safety experts—from professors to chefs to food inspectors—how they think we can improve food safety. Here are their ideas for a safer food future. What is the single most important thing that can be done to improve food safety in the United States? 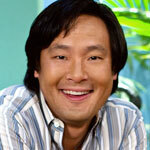 Ming is chef-owner of the award-winning restaurant Blue Ginger in Wellesley, Massachusetts, and the host and executive producer of the cooking show Simply Ming. It’s tried and true for a reason: wash your hands. And, in any language, say the ABC’s twice while you’re doing it. Also, when you leave a bathroom, use a paper towel to turn the handle, and use your foot to keep the door open while you throw the towel away. 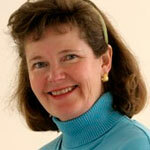 Catherine is a professor of nutrition and food sciences at the University of Vermont and an expert on Listeria. We can revamp regulations and production practices in the meat and poultry industry. The numerous recent recalls and outbreaks prove that as our farms grow larger their operation becomes more unsafe. The dangers posed by Concentrated Animal Feeding Operations (CAFOs), agricultural facilities that house and feed a large number of animals in a confined area, are many: animals in these operations harbor antibiotic-resistant pathogens, and runoff from these facilities has been implicated as a source of contamination in produce outbreaks. With regard to the environment, we have yet to define regulations that look at CAFOs’ handling of waste and runoff, and the long-term environmental impact when the “farms” cease to operate. 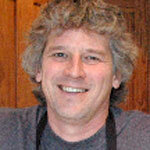 Scott is a microbiologist and independent food inspector based in Burlington, Vermont. We need to hold all producers and manufacturers to Safe Quality Foods (SQF) certification standards. SQF certification is an HAACP-based (Hazard Analysis and Critical Control Point) system that manages food safety risk instead of reacting to it, essentially foreseeing and taking steps to prevent future problems. 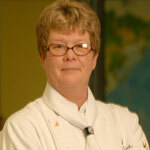 Linda is an associate professor in the College of Culinary Arts at Johnson & Wales University. Education! There are numerous websites (even YouTube) and informational brochures, such as Fight Bac, that are specific on the topic of food safety. Clueing in the average consumer may be as simple as teaming up with your local grocer to display a series of food safety messages on the flat-screen televisions at the prepared food and deli counters. 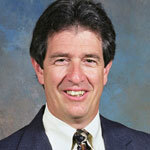 Bill is an attorney at Marler Clark LLP, PS and a food-safety advocate. Prepare food, from farm to fork, like you were preparing it for your 4-year-old child. Do it safely. 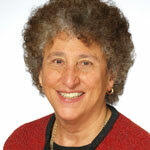 Marion, one of EatingWell’s nutrition advisors, is a professor of nutrition, food studies and public health at New York University. Her most recent book is Pet Food Politics (2008). We don’t have a food safety system in this country, so step one would be to create one. Combining the current food safety features of the USDA and the FDA, this food agency would oversee the production of all foods with science-based food safety procedures. This would include, most notably, pathogen reduction and HAACP (Hazard Analysis and Critical Control Point, a system that predicts possible problems in the flow of production and takes steps to prevent them from occurring). 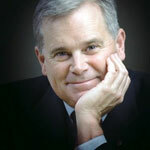 Douglas is an associate professor of food safety at Kansas Sate University and founder of the hilarious barfblog.com. Be the bug. Think about where dangerous bugs originate and how best to control them, whether it's dangerous E. coli in a spinach field, Salmonella carried by birds or rodents that contaminate peanuts after they've been roasted, or the pathogens on hands that can be transferred to fresh foods at a restaurant. 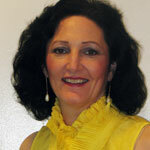 Donna is the executive director of Safe Tables Our Priority (S.T.O.P.). Food safety in the United States cannot be improved without understanding exactly what is making people sick. Only 4 to 6 percent of those who fall ill from foodborne pathogens discover what caused their illness. The government must increase funding to improve surveillance and diagnosis of foodborne disease. Consumers must seek medical care and demand answers and lab culture tests when they suspect foodborne illness. S.T.O.P. supports victims suffering long-term consequences with no idea what made them ill, no recourse and no accountability. 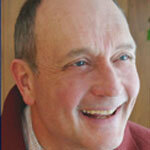 Rich is professor of hospitality management at The Culinary Institute of America. He lectures on nutrition and food safety. Shorten the food chain. The foodborne outbreaks of recent years—when you consider the large number of victims and their wide geographical distribution—point toward buying local as a possible solution. In the case of the 2006 outbreak of E.coli in spinach, the source of the contamination was a centralized packer of leafy vegetables located in California that packages up to 80 percent of all spinach and lettuce mixes. The 2009 Salmonella outbreak that hospitalized 116 people in 46 states was the result of contamination from a single supplier of peanuts. This is not to suggest that there would be no problems if we bought local, but that they would be limited in scope. Take Our Poll: How Well Do You Follow Food Safety Rules?